Hello there!! 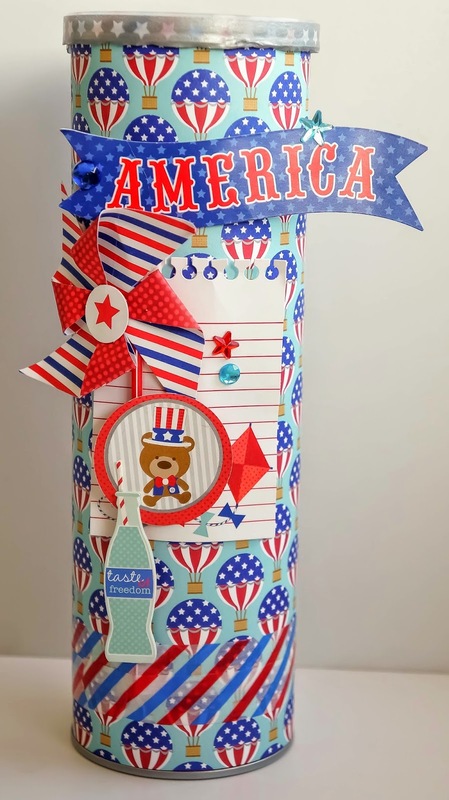 Can you believe we're already creating projects for the 4th of July collection?! The year flying by so very fast!! 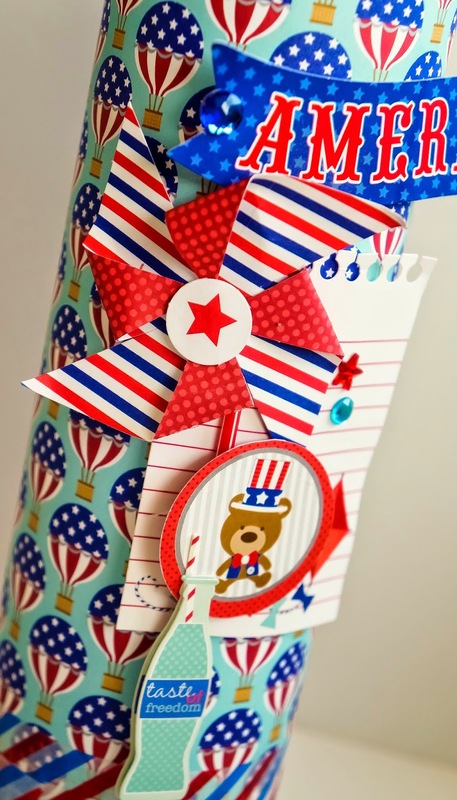 Well, when I think 4th of July, I think of parties, parades...basically a lot of fun and sunshine filled days. 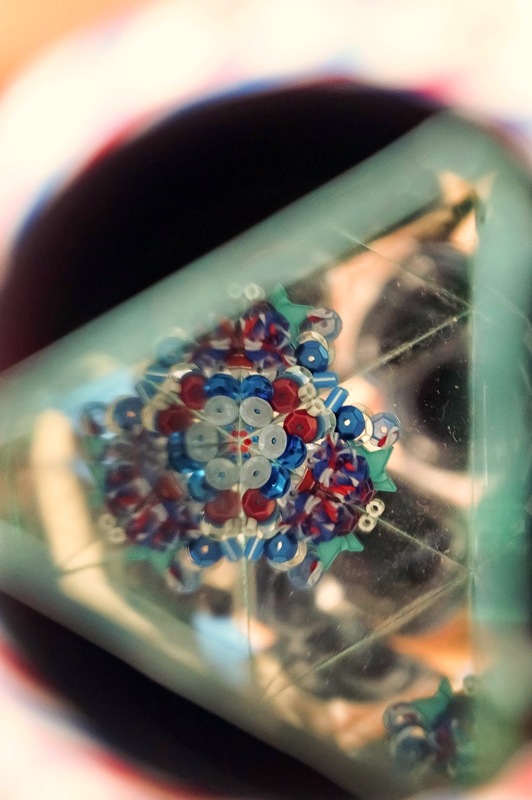 With this in mind, I created a Kaleidoscope! 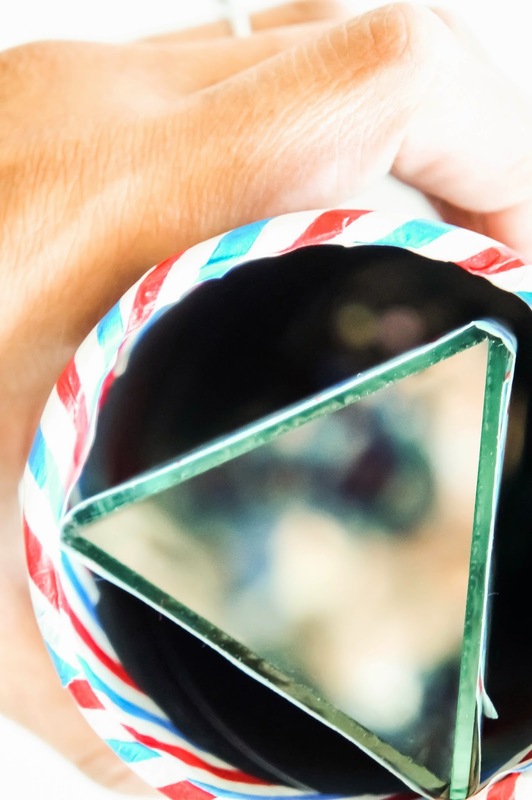 1) Tape the 3 strips to form a triangle. 4) Fill up the box with brads and sequins and what-nots. Your kaleidoscope is TOTALLY AWESOME Sharm!!! F A B U L O U S!!!! Thank you for sharing this great idea! 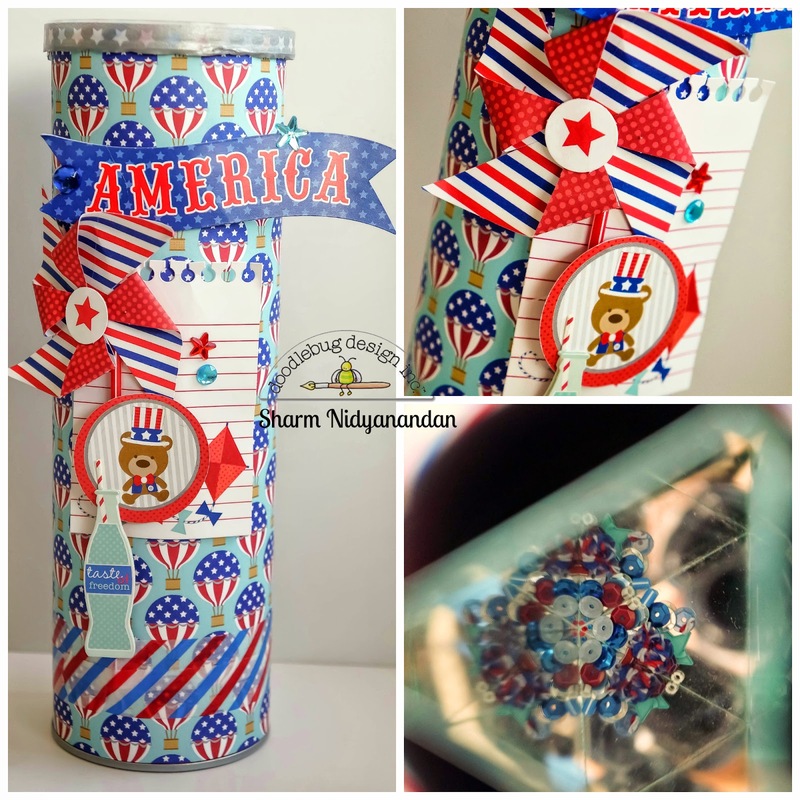 I love these homemade kaleidoscopes and yours is extra fabulous with Doodlebug Designs 4th of July style! I've also wanted to make my own for quite some time and this is very inspiring indeed! Thanks so much for sharing this delightful interactive project today!! Have a wonderful holiday weekend to all my American friends!!! Super fun! Love the pinwheel!! Decorating these cans would be so much fun. they are so bright and colorful and you can use so many different embellishments. I'm a fan on FB, and pinned this awesome project. We just threw a bunch of these away, but will have to save some next week. Love these. what an ingenious idea!!! My son would love to make and decorate one of these!! !Thanks for the inspiration! This is such a cute project! I remember having one of these during my childhood that I treasured! Such a creative idea! Wow!! !